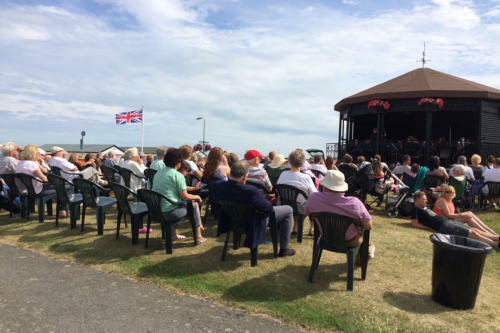 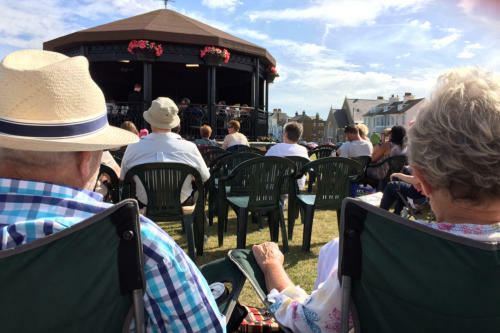 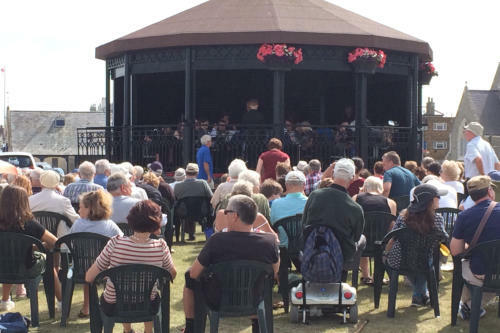 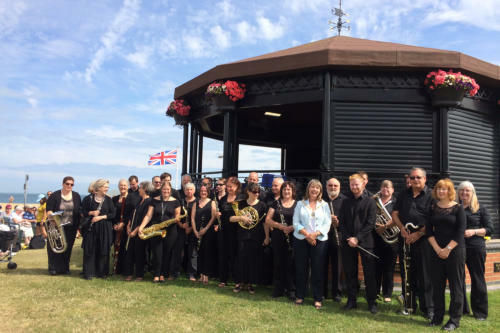 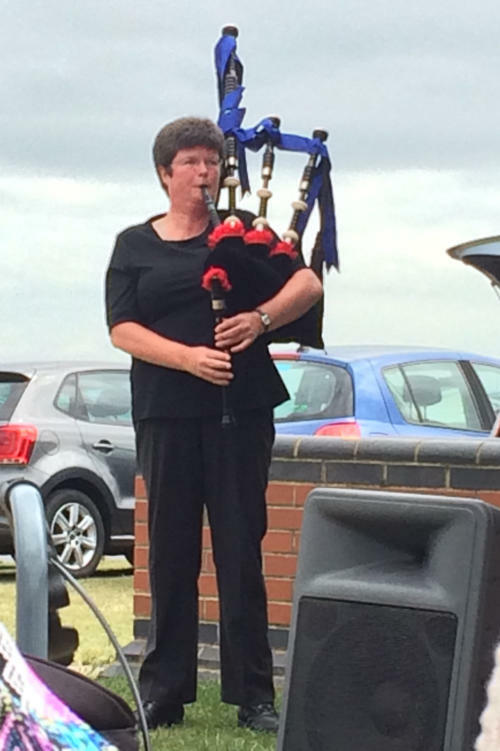 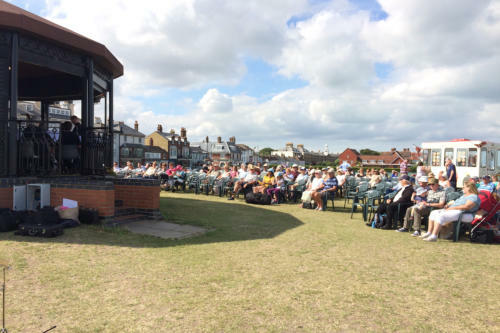 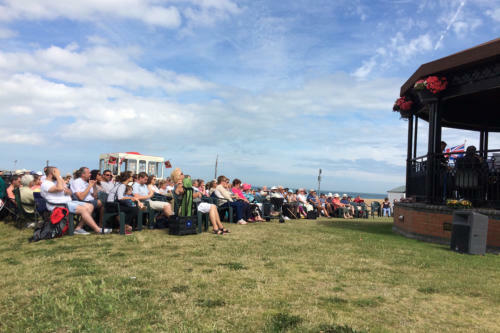 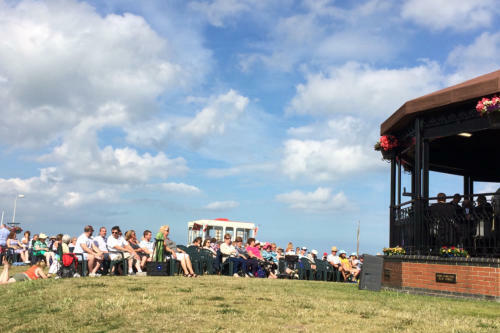 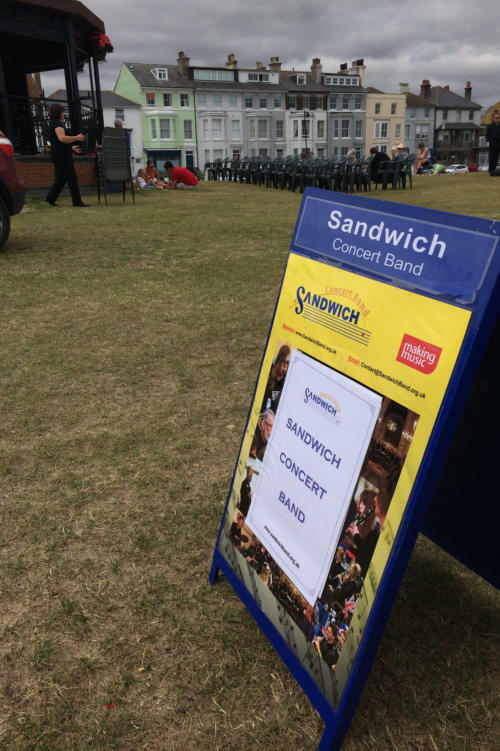 Bandstand Concert at Deal Memorial Bandstand, Walmer Green, Walmer, Kent on Sunday July 16th. 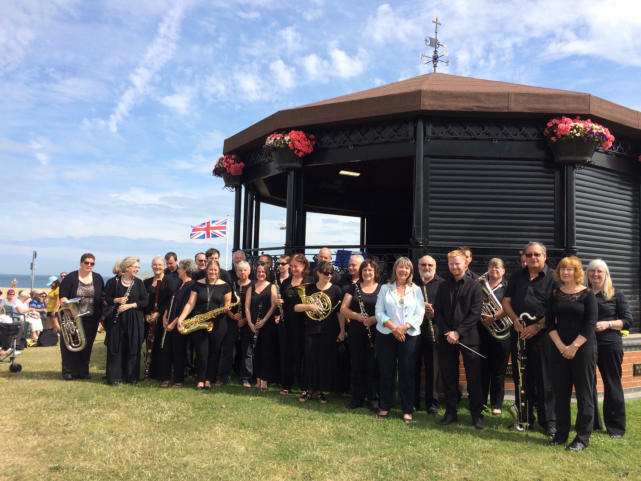 The Chairman of Dover District Council, Cllr Sue Chandler, meets the band during the interval. 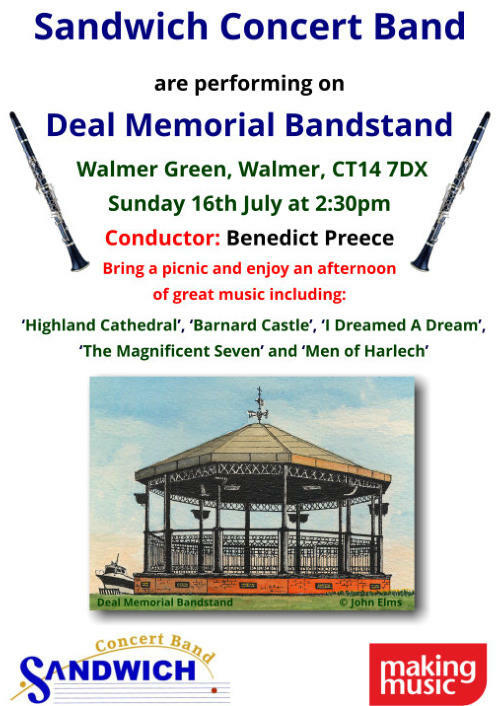 Further details below in press release.